You'd think that having two "sweet" ingredients would make this month's Crazy Ingredient Challenge really easy for me. Not even a little bit. Carrots plus graham crackers scream carrot cake. And not only have I made such a carrot cake before, right before the winning ingredients were announced, I had made a carrot cake. There was no way I was making another one. A possible carrot-banana-graham cracker loaf seemed like the way to go for a bit. Or perhaps some bars? All variations on that carrot cake. In the end, I decided to stop fighting the carrot cake. This was definitely helped by Cupcake Project posting her Carrot Cake Truffles. They have mashed potatoes! It sounded weird and hence, right up my alley. I modified her recipe and produced my own little bites. You can't taste the potatoes - potatoes, after all, are a pretty blank canvas. These are not particularly sweet so you could definitely increase the sugar, a little. Or add in another sweet ingredient. Easily modified. Try them and see. Pulse the carrots and the coconut in a food processor until finely diced. Pulse in the graham cracker crumbs, cinnamon, ginger, and sugar. Stir in the mashed potatoes. Taste and adjust the spices and sugar, if necessary. 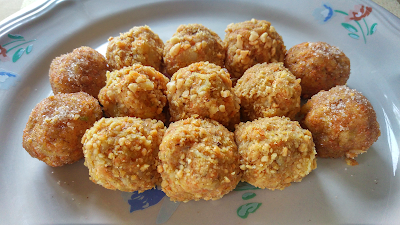 Take tablespoon amounts of the mixture and roll into balls. Roll the balls into your desired toppings. Chill before serving. Tomorrow marks 7 years since my brain surgery. This is huge for a number of reasons. I don't think about surgery as much as I used to - it's almost like it never happened. Almost. I don't have flashbacks of painful moments when I try to brush my teeth. I hardly think about the minor deficits (mainly only visible to me). Occasionally, something will pop up. A couple weeks ago, I had to make some phone calls. In each call I would ask about a "kerb machine". After a dozen or so calls, I realised that I do occasionally still have trouble saying the letter "b". Minor matters. I honestly did not remember that bs were a problem until then. The major success here is that I am two years past the point where many persons experience regrowth and a resurgence of symptoms. I still don't know if there's regrowth - don't tell anyone that I am still avoiding MRIs. But let's shout this from the rooftop - STILL SYMPTOM FREE! Each year I make myself a cake. I had plans for a simple hummingbird cake this year but I just couldn't swing it. Three weeks ago, I baked two birthday cakes for my brother and lost interest in all things sugary. Then the Easter holidays hit. Right now my nephews are still on holiday and kept me busy all of yesterday. Very little time for baking large cakes. 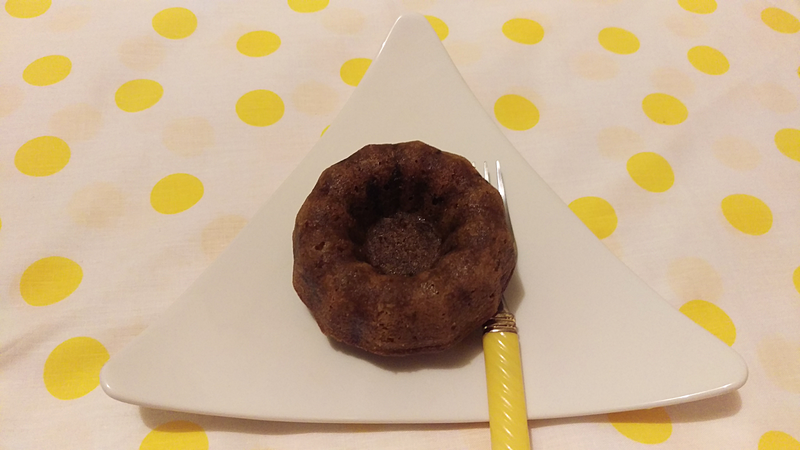 So we shall start the brainiversary celebration with these Dirty Banana Mini Bundts. This month the Bundt Bakers are all about the cocktails. I chose the dirty banana cocktail - partly because of the flavours but mainly because of the name. The dirty banana has banana, coffee, and rum. All deliciousness. Whoa - just realised that I am eating coffee rum ice cream while I type this - total coincidence. Thanks for hosting Patricia and Cristina! See all our cocktail Bundts below! Grease and flour 4 one-cup capacity mini Bundt tins. Preheat oven to 350 F.
Whisk together flour, baking powder, baking soda, salt, and nutmeg together. In a measuring cup, dissolve the instant coffee in the buttermilk. Cream butter and the two sugars until light and fluffy. Beat in the egg and vanilla. When bought have been incorporated, stir in the banana. Scrape down the batter as often as needed. Alternate adding the flour and the coffee-milk mixture into the butter mixture. Start and end with flour, add the flour in three parts and the coffee-milk in two parts. Mix until just incorporated. Pour the batter into the mini Bundt tins. Bake 15- 20 minutes until a toothpick inserted into the cake comes out clean. While the Bundts are baking, microwave the sugar, coffee, and butter together until the butter is melted and the sugar is dissolved. Do this is short bursts - mixing in between. Be sure to use at least a 2 cup capacity container. The mixture could bubble over. When the sugar has dissolved, stir in the rum. When the Bundts are cooked, immediately pour about a third of the coffee-rum syrup over the Bundts. Allow to cool, remove from tins and slowly pour over the remaining syrup. I know that you're looking at these and thinking, "Piadina? She made tortillas!" And you're certainly not wrong. Depending on where you look, the recipe for a piadina, this Italian flatbread, is almost identical to that of a tortilla. 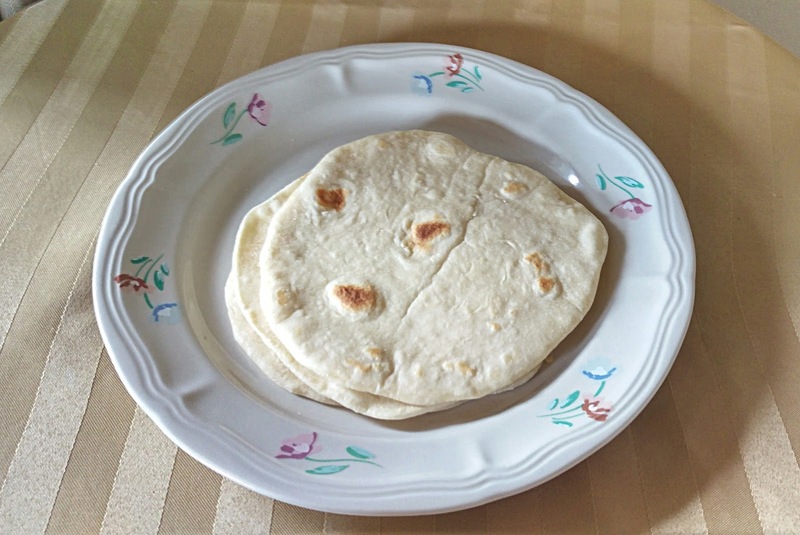 The piadina is popular in the Romagna region of Italy and uses lard and/or olive oil. It's typically filled with cured meats and cheeses but a sweet version with Nutella is also popular. Thank you Anshie for hosting our Italian themed Bread Bakers this month! 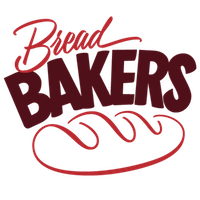 See all the other Italian breads below. Whisk together flour, baking powder, and salt. Add oil then enough water to make a soft but non-sticky dough. Place dough in an oiled bowl, cover and let rest for at least 30 minutes. After the dough has rested, divide into 5 balls. Roll each ball out to an approximately 7 inch circle. Heat a flat bottomed skillet over medium heat. Brush lightly with oil and cook each piadina a minute or two on each side. Serve immediately.